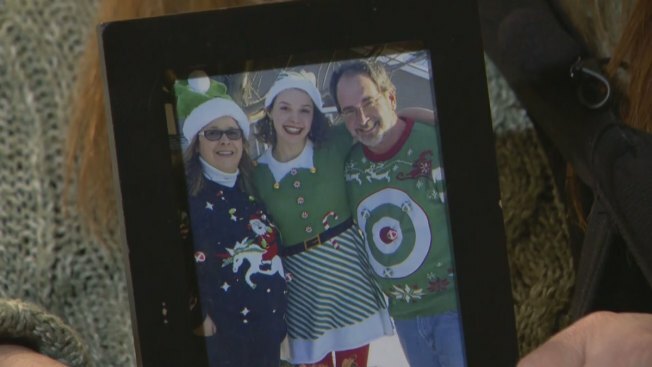 Sarah Papenheim, a 21-year-old from Minnesota seen here in a family photo, was killed in the Netherlands, where she attended Erasmus University. An American psychology student who was fatally stabbed in her Netherlands apartment had texted a friend in the U.S. six days before her death, saying her roommate threatened to kill three people. Sarah Papenheim, 21, told her friend she was going to have to go to police. The friend, who shared the text messages with The Associated Press on Friday, isn't sure if she ever did. "I was concerned," Papenheim's friend, Adam Pryor, said about receiving that text on Dec. 6. "She said she was going to the police. ... It didn't feel like she was in danger." Papenheim, a native of Minnesota, was stabbed Wednesday at her apartment near Erasmus University in the port city of Rotterdam, where she had been studying since 2016. Police tried unsuccessfully to revive her after arriving at her home following reports of an argument. A 23-year-old man was arrested the same day at a railway station in the southern Dutch city of Eindhoven. His identity has not been released, but on Friday, he appeared before an investigating judge in a closed hearing and was ordered detained for two more weeks while the investigation continues. In her Dec. 6 text messages to Pryor, Papenheim was unhappy and was venting about working full time and attending school full time. She then said: "My roommate told me hes gonna kill 3 people. So im gonna have to go to the police." Papenheim's mother, Donee Odegard, told the Star Tribune in Minneapolis that the suspect arrested was her daughter's roommate and that he reportedly had been "getting more and more angry" in recent weeks. Odegard said her daughter was studying psychology with a focus on suicide; Sarah's brother took his own life three years ago. Amid concerns about the suspect's mental health, Odegard told her daughter: "'Get out of there,' but she wouldn't listen to me," she told the Star Tribune. Papenheim was a drummer in the Minneapolis blues scene. Pryor, a 19-year-old keyboardist, said he and Papenheim met at a jam session a few years ago and immediately connected because of their young ages and love of music. "Most people my age don't know what blues music is, much less can play it and much less can play like she did," he said. "She was just so special in so many ways." Pryor said Papenheim was naturally gifted and had book smarts and street smarts, and the death of her brother was always on her mind. Pryor said Papenheim also had a big heart and tried to help everyone she could. She loved the Minneapolis music scene and it hurt her to be away from it. Pryor recalled one moment last summer when the two were at a show at a Minneapolis venue. Papenheim was called on stage to play with some of the biggest names in town, and although she was nervous, "she went up there and just nailed it." Pryor said that was a big moment for Papenheim, who was shaking with excitement afterward. Pryor, who studies electrical engineering at the University of Wisconsin-Madison, said Papenheim's slaying hasn't really hit him yet, but when he tries to listen to music, memories of her come flooding back. "It's so unbelievable," he said. "I don't know how this is real." In Rotterdam, tributes including flowers and candles were left inside Papenheim's apartment building. Erasmus University said it was shocked by her death and expressed condolences to her family and friends. Fikret Egemen, the owner of a kebab restaurant where Papenheim worked part time, fought back tears as he recalled how she immediately fit into his team when she started working for him in September. "From day one, she picked up everything. She was like family," he said. "She always worked with a smile, all day long, no problem. Angel." The Star Tribune reported that musicians are planning a concert to help fund the repatriation of Papenheim's body. A Gofundme page for donations has raised over $36,000.